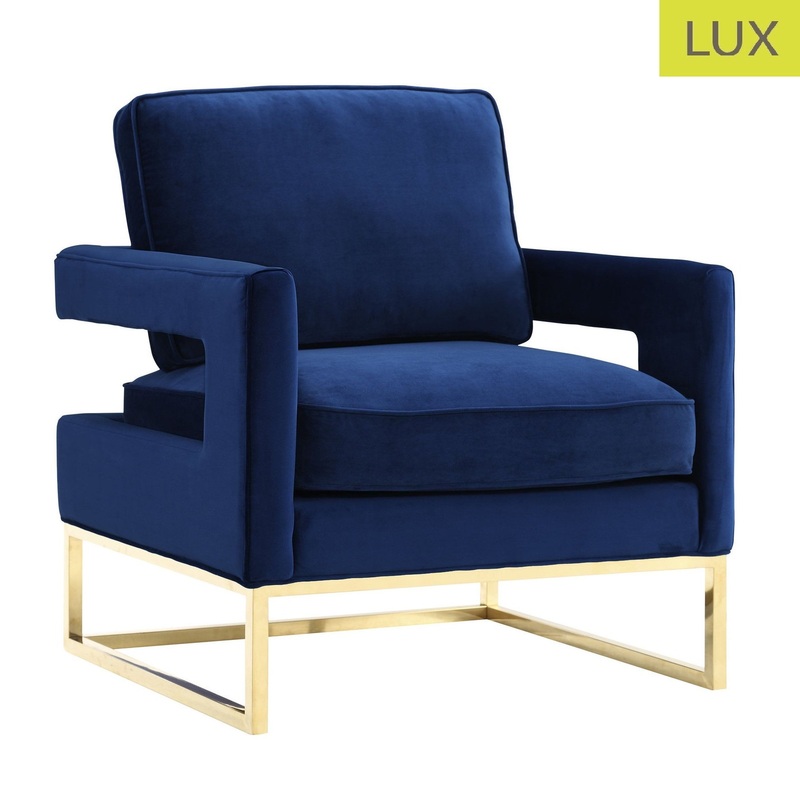 Inspired by the love for luxe, the Navy Me chair radiates sophistication and grandeur. 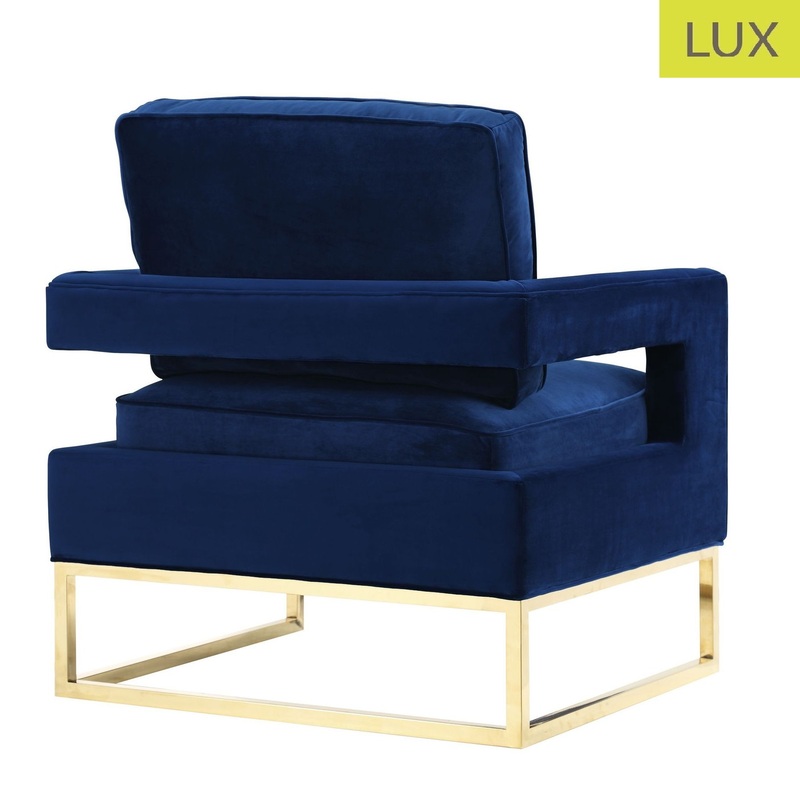 With a glossy gold finish and gorgeous curves and upholstered in a stunning blue luxurious fabric, this chair is sure to break a few hearts. The Navy Me chair is a must-have for any room. The lines of this chair creates an airy flow and looks amazing in photos.